Dr. Ross explores his creative side with printmaking and painting. 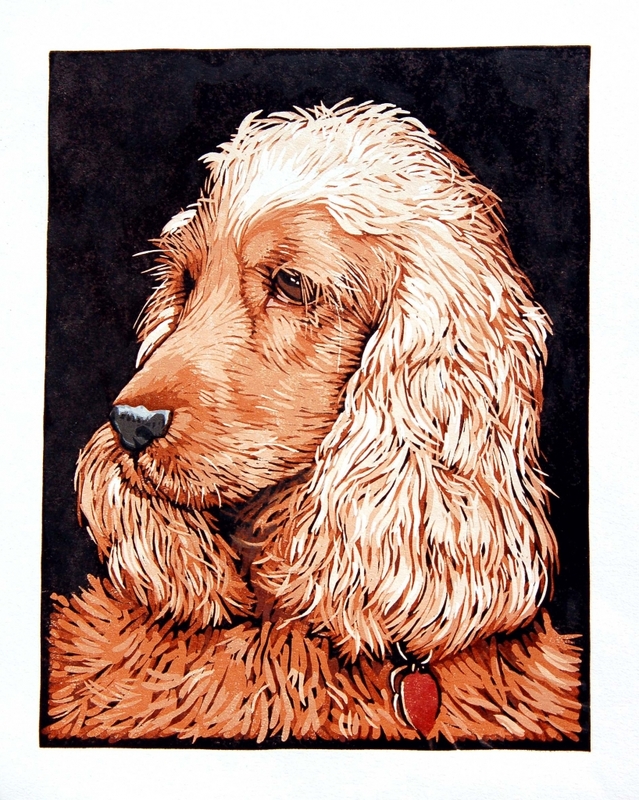 He has studied and refined the art of etching and wood block printing with renowned local artists Kevin Fletcher and Rik Olson. 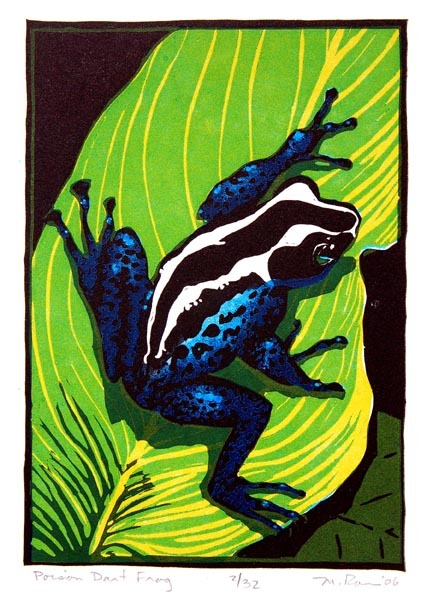 His current passion is linocut, a form of relief print. 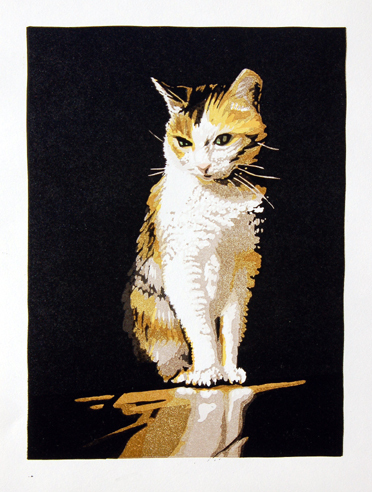 An image is carved into the surface of the artist's linoleum, the surface is then inked and the image transferred to a sheet of paper with a press. Single color images require only one pass through the press. Multiple color prints take multiple passes through the press. Shown below are a few of Dr. Ross' latest prints. 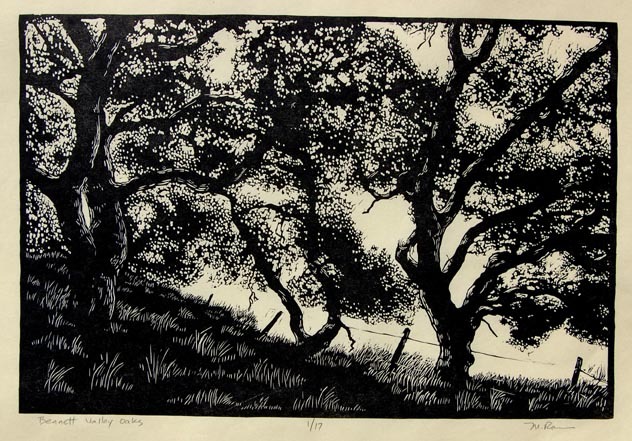 He draws inspiration from nature, Sonoma County in particular. 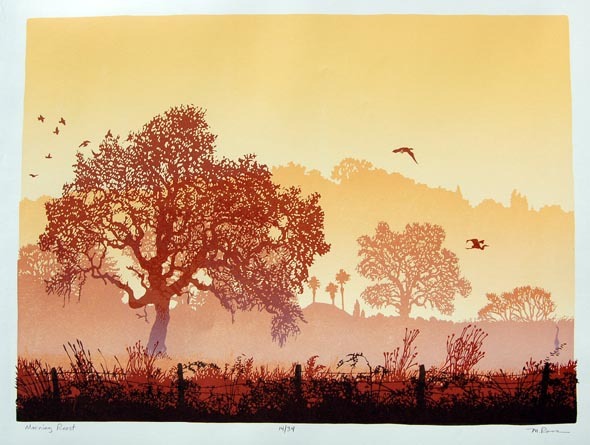 His prints have received awards and have appeared in local competitions. 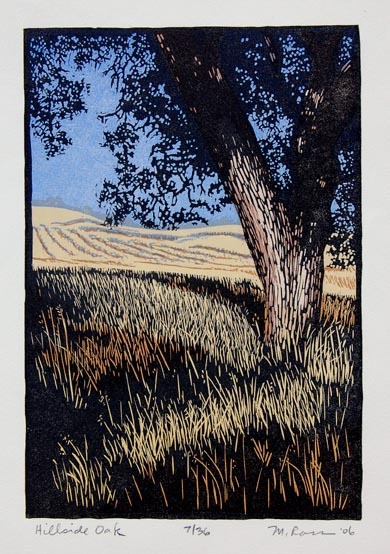 The print "Hillside Oak" recently won second place in the national art contest "Faces and Places" sponsored by Daniel Smith Artist Catalog. If you are interested in viewing Dr. Ross' prints or wish to purchase a signed limited edition print, please call our office at (707) 527-9330.